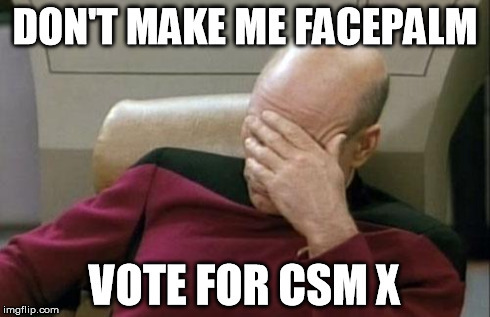 It is that time of the year again: CSM elections. Rather than giving you a list of endorsed candidates, I’ll share some of my own reflections on this year’s election. Not that I can claim any special significance for my thoughts on the matter, but it is a short read and maybe it will help to formulate your own opinions. Let’s start with why I bother to vote. Simply, I enjoy the process. The CSM, as an institution within an MMO, is rather unique. No matter whether regarded as a link between players and developers, a marketing tool, a stage for high level metagaming or anything else, nothing quite like it exists elsewhere in the MMO world. A very interesting socio-political petri dish is the result, and I like observing its developments. The interviews, discussions, and commentary are fascinating in the way they showcase the development and concentration of community media around events that people assign relevance to. Even the way that media diversifies itself in style and presentation is already worth observing. There are major differences in how Crossing Zebras, Cap Stable, EVE Radio and Legacy of a Capsuleer have covered the elections now, and in the past. 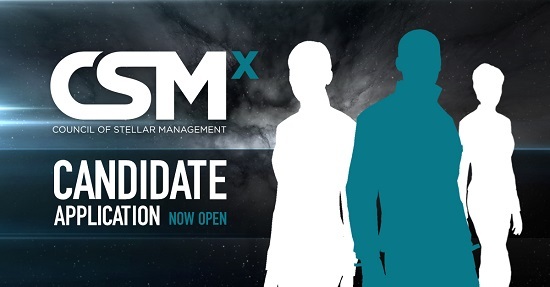 Considering how much the EVE player media has meant for the CSM process, I am a little surprised about this year’s debate, which puts into doubt whether candidates with a media background make suitable CSM members. The arguments that are handled in that particular debate all derived from the trouble around one media personality and some personal accusations against another one. Accusations which were, by the way, proven to be untrue or insignificant. Now, as far as I am concerned, people can have their own opinions about individuals like DJ Funky Bacon or Xander Phoena, but to use that as the basis for dismissal of all media candidates seems a bit far-fetched to me. Should we—by that logic—also stop voting for bloc-leadership candidates because The Mittani once went too far on stage at Fanfest? Or dismiss any lowsec candidate because Mynxee was the chairperson who caused a heated public debate about Incarna? No. I think we’re fine just considering the person and what they stand for. Some drama around an individual or two does not form sufficient grounds to dismiss anyone with a somewhat similar background, even if it were enough to strike the person in question from your voting ballot. That brings me to the second major reason why I bother to vote in CSM elections: I have seen, read and heard credible evidence that the CSM is actually making a difference. They certainly do not dictate the development process, but as a group they affect it and much more than that. 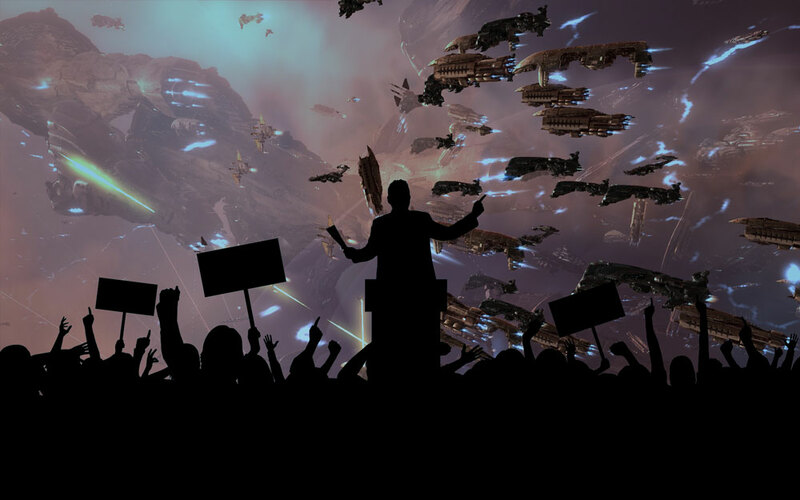 In the past, CSM members have taken the lead in public discussions between the player community and CCP, they have supported or averted mechanics changes and they have taken an active role in being a conduit for player interests, at times even against CCP themselves. Certainly, there was a fair share of them who caused drama or were largely passive, but in the course of doing so they’ve also made both CCP and the players re-examine the relationship they have with each other. Over the years, the CSM developed from something neither side had an all-too clear idea about into a stakeholder in the development process. It became an advisory body for CCP, as well as a proxy for the company to address the players indirectly. Now the process has matured to a degree that we can choose subject matter experts who can fulfill the role of being a sounding board and focus group, but also generalists and communicators who can help to keep the discourse between the players and developers active and productive. This finally brings me to the question of who to vote for. Like I said in the beginning, I won’t present you with a ballot of candidates I endorse. 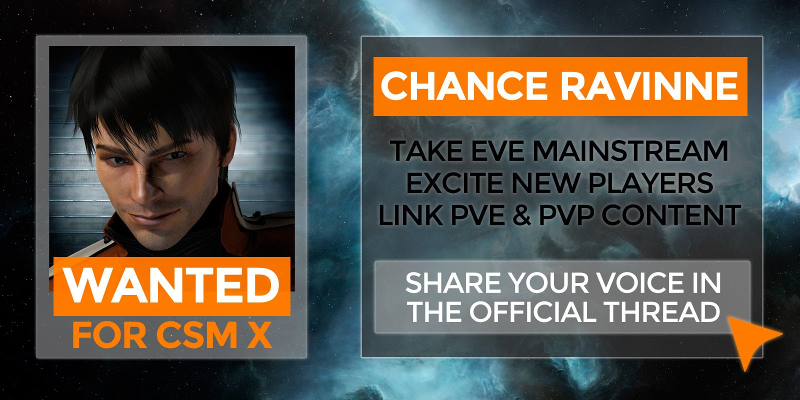 Others here at CZ have done that, and Rhavas of Interstellar Privateer has even written a series on who to vote for and why, and I very much share his attitude towards the CSM election process. As much as I like observing the metagame surrounding EVE, my second reason for voting weighs heavier for me there. I think there is a time and place for metagaming shenanigans, but I’d say the CSM is not it. Of course, the players voted into the council should represent their platform, but the CSM is not about winning the game or serving one side’s interest. Treating it like that would not only be against the rules, but it would also degrade the effectiveness of the CSM. As it stands, this group has the potential to help improve the game for all players, and using it for petty power games would waste that potential and serve no one in the end. Even if one group could “control the CSM” or gain CCPs favour for their agenda, eventually it would take all the challenge and fun out of the game for them. Only very short-sighted players would view that as a sensible approach. With all that said, I strongly favour voting for a diverse range of candidates, and I would even say to a certain degree that I prefer neutral experts over affiliates of specific groups. The high number of NPSI and independent candidates this year is something I welcome quite a bit, because those are people who value gameplay over politics. Combining that with a sensible representation of different play styles in the game can lead to a CSM composition that comes reasonably close to achieving the full range of functions it can and should fulfill. There is one last thing I sometimes think about when deciding who I want to vote for. Some candidates are people I would rather see fully committed to what they are already doing for the community or the game instead of spending time on the CSM. It’s a time-consuming task, and other activities can easily become neglected. This year, there were a few candidates that had me weigh this issue. For example, like Niden I found that Chance Ravinne made a very good impression. On the other hand, he runs a small corp of rather young players and creates a lot of nice content. Would he still be able to do that to the same extent if he had to deal with CSM too as he is even still busy exploring what the game has to offer? Last year I encountered that issue with Xander Phoena. His CSM interviews ahead of the CSM 8 election and their term were a great contribution, and I knew he could not return to do the same if he became a member of the CSM. I already knew he was a good interviewer, but I had to weigh that against him potentially being a good delegate. In fact, that is the only argument against voting for a media candidate that I can think of: If their contribution to game-related media is valuable and would suffer from their CSM membership, it might be better to retain them in the role they already have. For the sake of transparency, I did end up voting for Xander last year (at a time when I had no connection to CZ in any way) and I did put Chance Ravinne on my ballot this year. This is as far as I will go in giving an endorsement. In the end, I would prefer that everyone make up their own minds and cast their vote in an informed way according to their own interests for the game. I am aware, however, that this is not likely to happen with bloc-voting being prevalent. Interestingly enough, the current largest coalition, HERO, only released a rudimentary recommended ballot and thereby went against the conventional wisdom that every numerically strong and well integrated organisation should strongly encourage voting for endorsed candidates. Either that shows enough people in that coalition share the views of people such as Rhavas or me and want their members to spread their vote according to their own wishes, or it could indicate that they are not quite as unified in their opinion who the right candidates should be. I am curious to see how that will play out in the results. HERO coalition has enough people to swing the vote for more than one candidate even if their vote is not unified, provided they vote in sufficient numbers. Whether we end up with a CSM as I would like to see it or not, there is one thing I am certain of: observing the developments around this singular institution will remain interesting on many levels. Oh, and if you still have no idea who to vote for, check out the incredibly helpful votematch site by Deirdre Vaal.